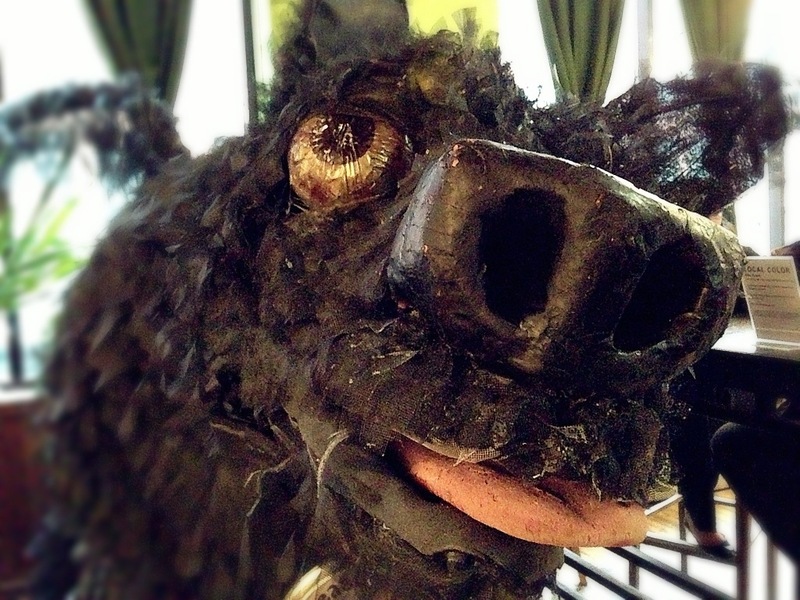 The art inside Black Dog Coffee and Wine Bar in Lowertown changes frequently, and this spring a new visitor has arrived. A third mascot, a third puppet and a third art piece, the five foot tall pooch is freakish yet cute. This is day 142 of Photo 365. This entry was posted in Photography and tagged Black Dog Cafe, Lowertown, Photo 365, Saint Paul. Bookmark the permalink.